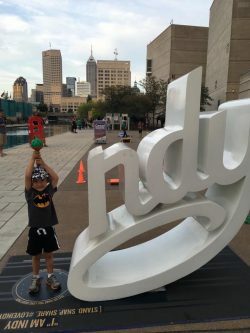 Once a month we’ll be posting stories about YOU, the people who are using the Trail and building your lives around the Cultural Trail in downtown Indianapolis! 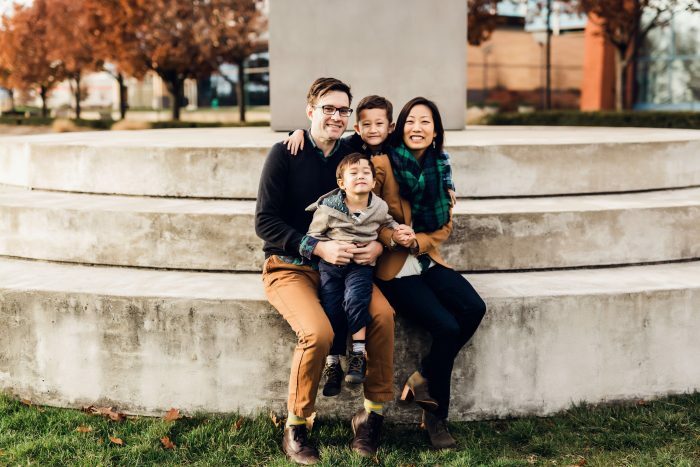 First up, let’s meet this fun family who live right on the Indianapolis Cultural Trail. It was so much fun meeting the Dorantes and learning more about how they and their kids have enjoyed life along the Cultural Trail. How does the Indy Cultural Trail connect you to the city? Our family has lived directly on or very near the Cultural Trail and Canal since Tom and I moved to Indianapolis in 2010, before the kids (Benjamin, 7 and Oliver, 4) were born. We love being able to walk out our door and explore the the different parts of downtown that are connected by the Trail, from Mass Ave to the Monon, the Canal and White River State Park, and Fountain Square. What is your favorite spot downtown? The Canal is our favorite spot downtown—we live on the Canal, we walk and bike on the Canal, we people watch, and now we play at the Canal Playscape! We love walking the Canal to the State Museum and Zoo, grabbing flatbread pizzas and lemonade at Fresco Italian Cafe, and listening to concerts at the White River State Park and the Historical Society during the summer. We sled down the hill next to the Playscape during the winter. We were fascinated by this winter’s Canal drainage and cleaning. We’ve even seen a marriage proposal on a gondola boat and an ice skater during subzero temperatures! Events on the canal like the Canal Awaking every spring, IUPUI Regatta, and the Interactive light festival a couple years ago are fun and different ways to experience the space and we’re happy that events like those are becoming more regular. 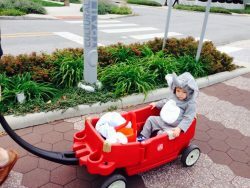 What is the best part of living on the Indianapolis Cultural Trail? How do you generally navigate the Trail (bike, walk, run)? The Trail gives us such easy and safe access to our favorite venues downtown- we can bike along the Trail to Banker’s Life Fieldhouse for Pacers games or to the Murat (Old National Theater) for concerts without having to worry about traffic or parking. 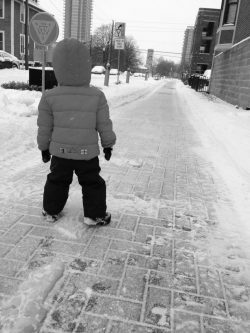 Navigating the Trail also gives us a chance to teach our children about our downtown landscape and how to be a safe pedestrian in an urban setting. Why did you choose to support the Cultural Trail? We support the Trail because it helps to engage us with our downtown environment and community. It’s meticulous upkeep beautifies the city, attracts people from all parts of Indianapolis to interact together and hopefully helps to entice families to live downtown.